Mission Adelante will be hosting a New Volunteer Orientation on Saturday, May 18th from 9:00 am to 1:00 pm. If you are interested in volunteering with kids, youth, arts and music, adult ESL, or citizenship classes, this is a great opportunity to jump in for their summer trimester (May 28th to August 4th). Check out www.missionadelante.org/serve to learn more about Mission Adelante's programs and to fill out an interest form. Adelante Engage: Easter Eggs Needed for Adelante Thrift! Do you have a gently-used keyboard or guitar that you're not using? Adelante Arts Community needs it! Mission Adelante is in need of 3 portable keyboards and 5 acoustic guitars for their expanding Arts Community. Please email Gissell Vazquez at gissellv@missionadelante.org if you have an instrument you'd like to donate. Are you interested in mentoring teens from other places? Mission Adelante's Refugee Youth Club is looking for a few more volunteers (bonus points if you can help with math homework). Visit www.missionadelante.org/youth for more information and to fill out an interest form. Adelante Engage: LIT Volunteers Needed! 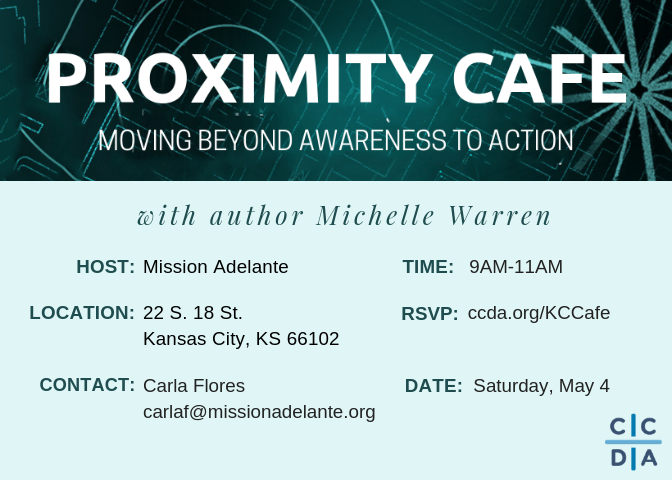 Workshop on The Power of Proximity: Michelle Warren is coming to share a morning with us and discuss concepts from her book on Saturday, May 4th from 9:00am to 11:00am. Please plan on joining us for this powerful workshop. You can register for the workshop on CCDA's website. 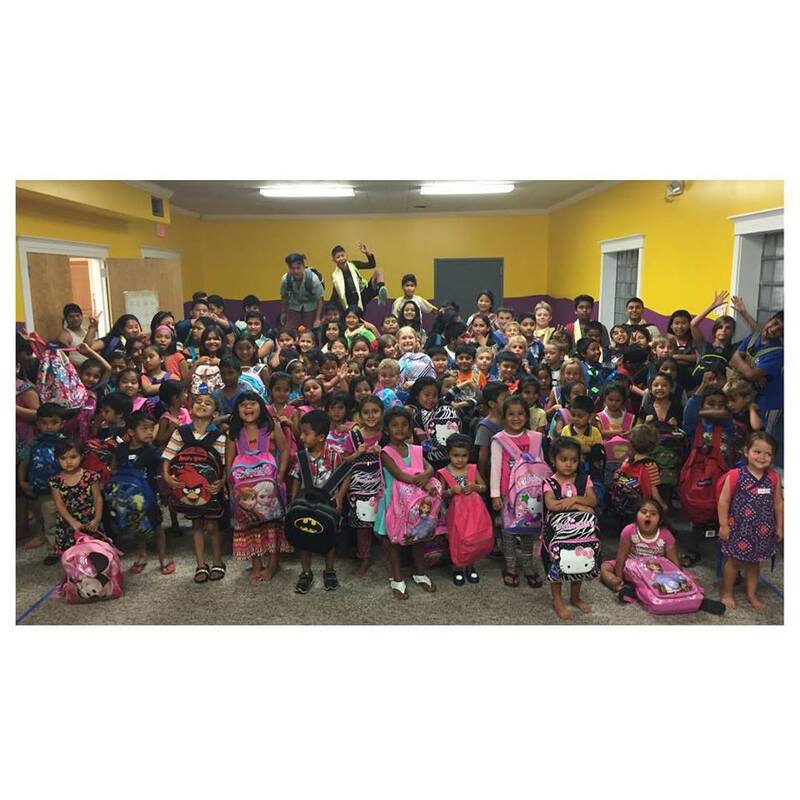 Adelante Engage: Donations Needed for Adelante Thrift! Are you trying to declutter your house? Adelante Thrift is in need of gently used items in all departments: Men's, Women's, and Children's Clothing, Housewares, Electronics, and Furniture. Adelante Thrift is located at 3720 State Ave KC KS 66102. Donations are accepted on Saturdays only from 10:00 am - 5:00 pm. 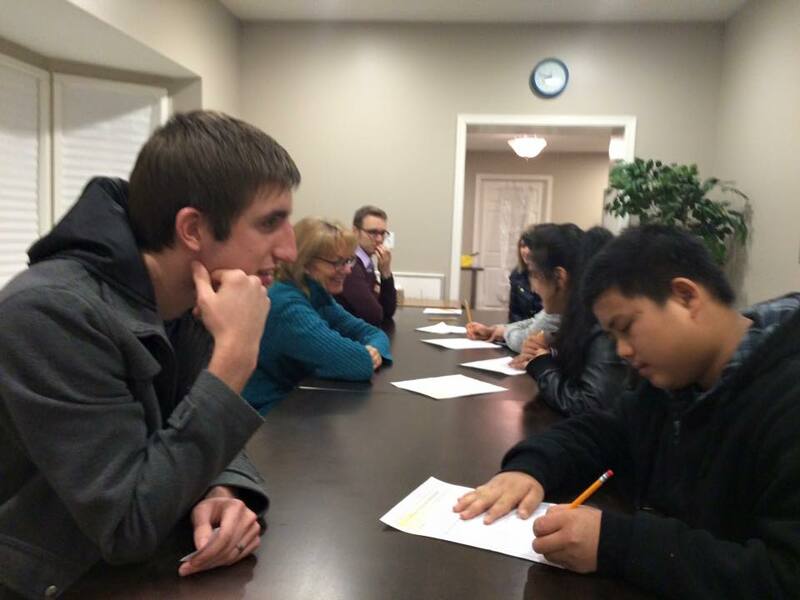 Have you ever wondered what goes on at a typical night of programming at Mission Adelante? Adelante Arts Community, Refugee Kids Club, Latino ESL, Teens Adelante, and Kids Adelante have Observation Nights coming up! Visit www.missionadelante.org/observe to sign up! 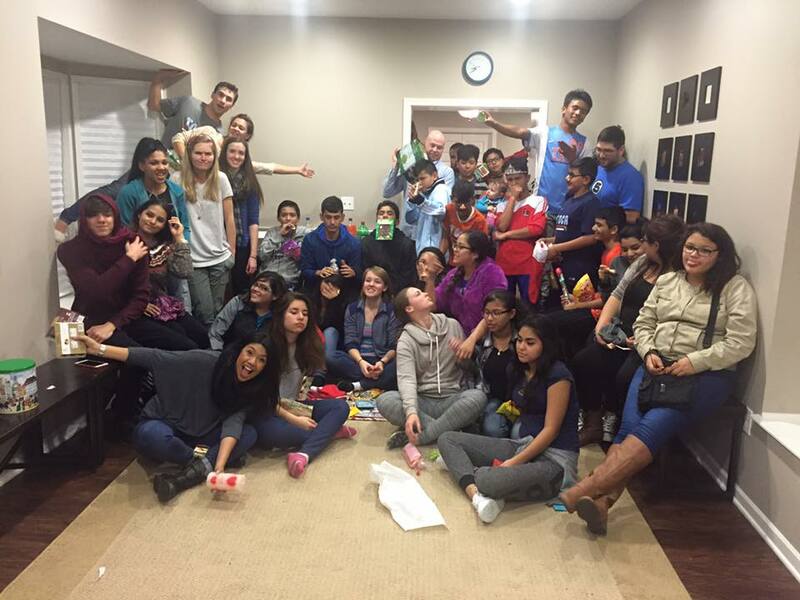 Have you ever wondered what goes on at a typical night of programming at Mission Adelante? Adelante Arts Community, Refugee Kids Club, Latino ESL, Teens Adelante, and Kids Adelante have Observation Nights coming up: Mondays, February 25 and March 4, 6:30 - 8:30pm; Tuesdays, February 26 and March 5, 6:30 - 8:30pm; Wednesdays, February 27 and March 6, 6:30 - 8:30pm; and Thursdays, February 28 and March 7, 6:30 - 8:30pm. Visit www.missionadelante.org/observe to sign up! Adelante Engage: Volunteers Needed for Leaders in Training! Do you want to make a difference in a kid's life? Mission Adelante's Leaders In Training (LIT) program needs volunteers. If you are interested in volunteering, please visit their website at www.missionadelante.org/kids. 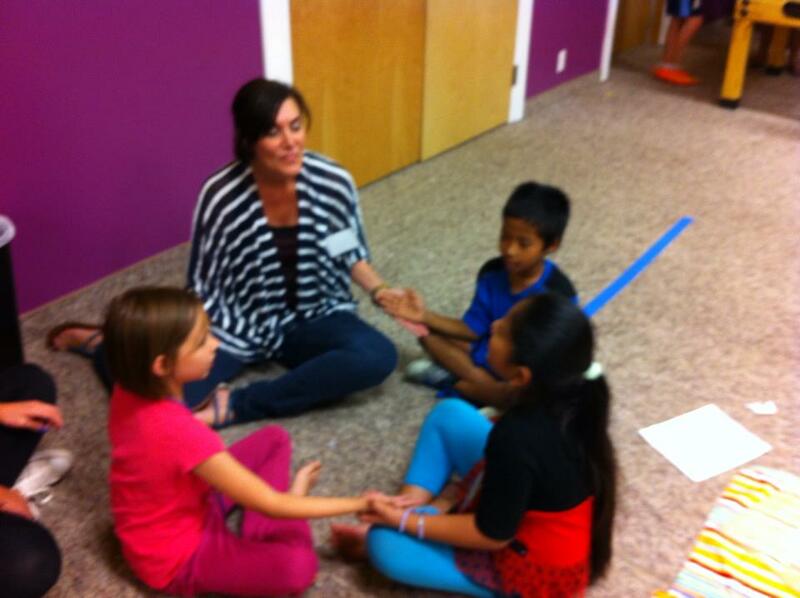 .Have you ever wondered what goes on at a typical night of programming at Mission Adelante? 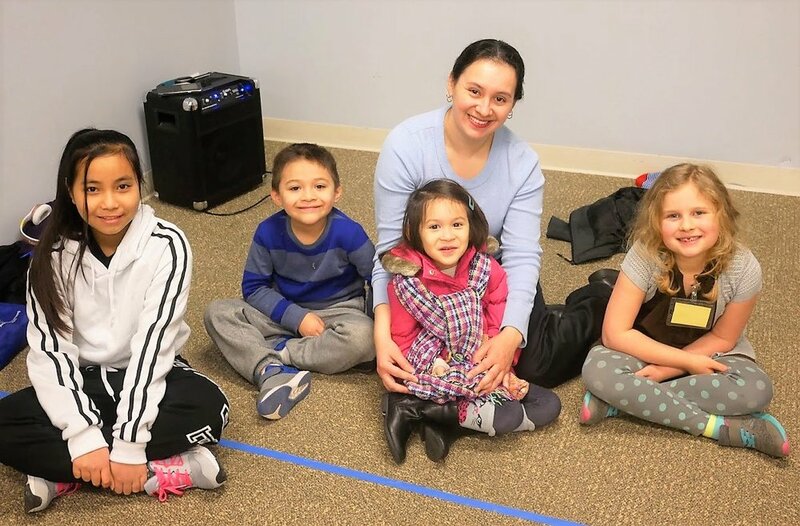 Adelante Arts Community, Refugee Kids Club, Latino ESL, and Kids Adelante have Observation Nights coming up: Mondays, February 25 and March 4, 6:30 - 8:30pm; Tuesdays, February 26 and March 5, 6:30 - 8:30pm; Wednesdays, February 27 and March 6, 6:30 - 8:30pm; and Thursdays, February 28 and March 7, 6:30 - 8:30pm. Visit www.missionadelante.org/observe to sign up! 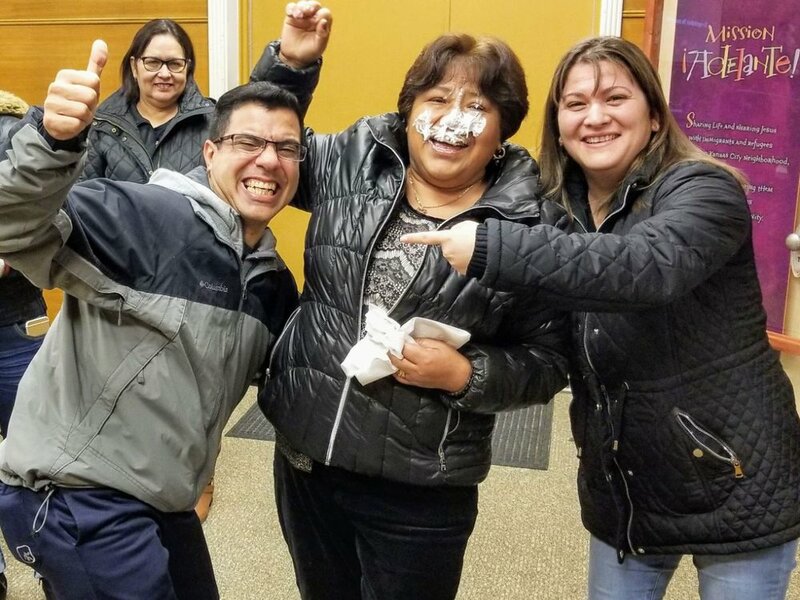 Have you ever wondered what goes on at a typical night of programming at Mission Adelante? Adelante Arts Community, Refugee Kids Club, Latino ESL, and Kids Adelante have Observation Nights coming up: Mondays, February 25 and March 4, 6:30 - 8:30pm; Tuesdays, February 26 and March 5, 6:30 - 8:30pm; Wednesdays, February 27 and March 6, 6:30 - 8:30pm; and Thursdays, February 28 and March 7, 6:30 - 8:30pm. Visit www.missionadelante.org/observe to sign up! 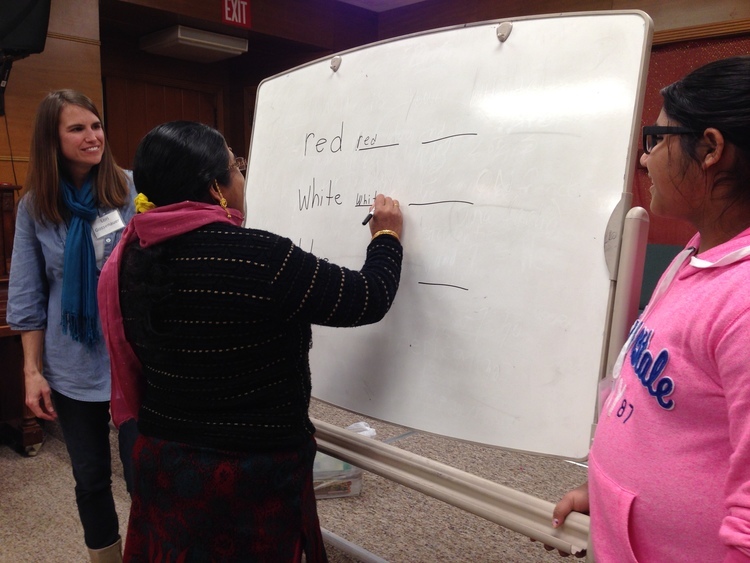 Have you ever wondered what goes on at a typical night of programming at Mission Adelante? 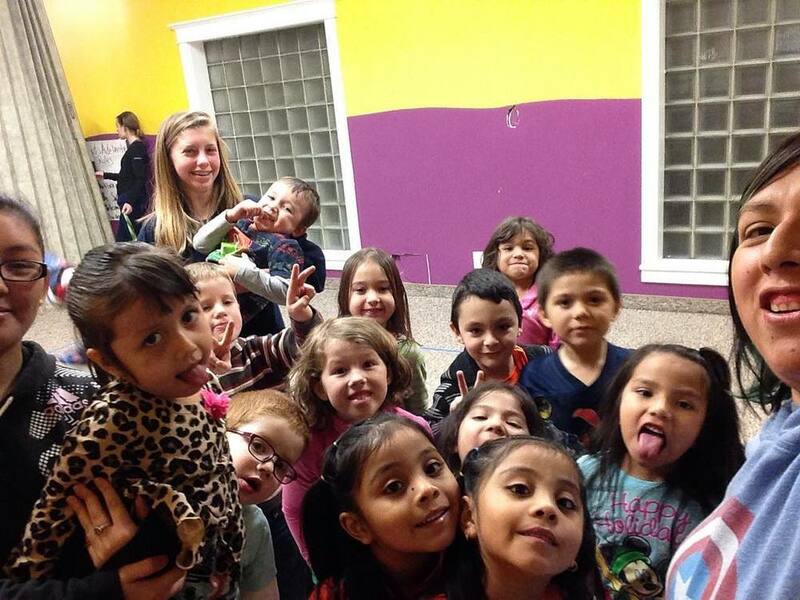 Adelante Arts Community, Refugee Kids Club, Latino ESL, and Kids Adelante have Observation Nights coming up: Mondays, February 25 and March 4, 6:30 - 8:30pm; Tuesdays, February 26 and March 5, 6:30 - 8:30pm; and Thursdays, February 28 and March 7, 6:30 - 8:30pm. Visit www.missionadelante.org/observe to sign up! Mission Adelante will be hosting a New Volunteer Orientation on Saturday, January 12th, 2019 from 9:00 am to 1:00 pm. If you are interested in volunteering with kids programs, arts and music, adult ESL, or citizenship classes, this is a great opportunity to jump in for their spring trimester (January 15th to April 11th). Check out www.missionadelante.org/serve to learn more about Mission Adelante's programs and to fill out an interest form. Mission Adelante's Arts Community needs a few more volunteers to teach guitar and keyboard to kids! No need to be an expert. If you enjoy playing a few chords/notes on either instrument and would like to share that ability with others, fill out an interest form at www.missionadelante.org/arts. .Mission Adelante's Arts Community needs a few more volunteers to teach guitar and keyboard to kids! No need to be an expert. 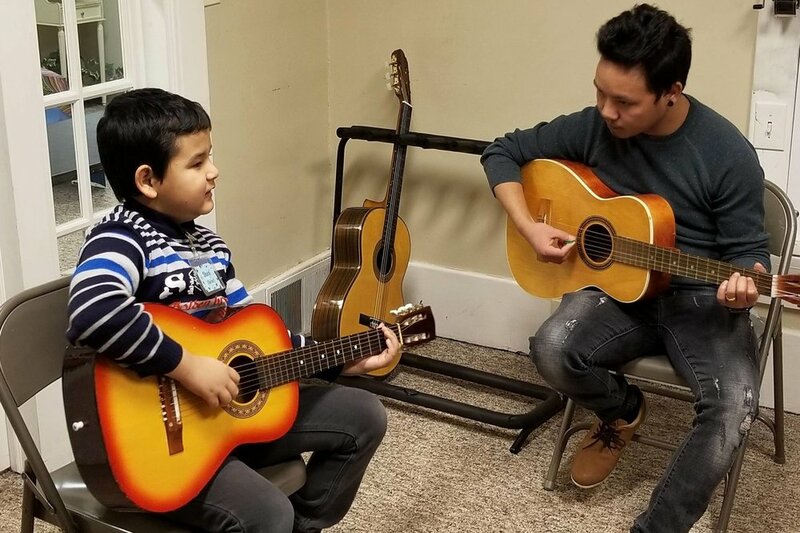 If you enjoy playing a few chords/notes on either instrument and would like to share that ability with others, fill out an interest form at www.missionadelante.org/arts.